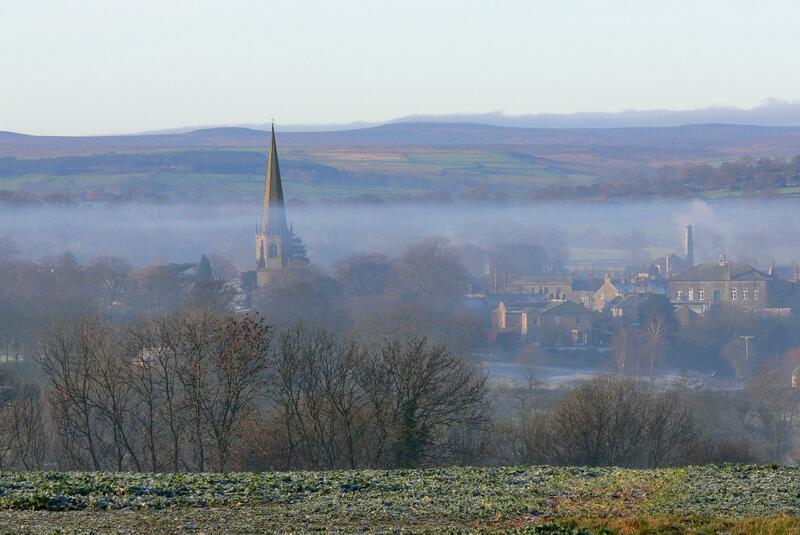 Sculpt is a major new free art event taking place from 25th May to 28th September 2019 in seven churches centred on Masham. The seven international and innovative artists are creating individual and unique, site-specific sculptures for especially chosen, beautifully located churches in the Yorkshire Dales. 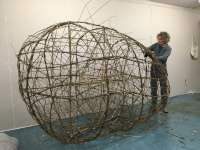 North Stainley, West Tanfield, Well, Snape, Masham, Healey and Mickley will each have a site-specific artwork installed by a top international artist. Exciting, theatrical, family-friendly and perhaps shocking installations will be found in each off-the-beaten track church, whilst also offering art for everybody in rural communities. It offers all the ingredients for an enriching, educational and stimulating visit to buildings that form an essential part of the fabric of British culture, but that are often neglected or ignored. The trail is about 26 miles and depending how many times the visitor stops off at all the cafes and pubs along the route should take about two hours to complete. The installation preparations are well under way causing logistical challenges as to how to install such innovative artwork in these precious buildings. Jon Gabb will be installing a work called ‘Wonder and War in Heaven’ in Snape Chapel. The name is derived from the decayed ceiling fresco in the chapel, painted by Antonio Verrio in about 1707 (famous for his ceiling in Burghley House). This is now a relic, partly due to damage caused when the chapel was used to store grain and hay. Jon’s work will extrude the spirit of the fresco into the space of the chapel in a dramatic way, with the use of knotted cords, coloured in the same vibrant colours as would have been in the fresco before its decay and representing the colours of heaven. Jon’s work will reach out from the past to connect with the contemporary, with triangular forms holding the cords, symbolically held down with bags of grain, representing the connecting of heaven with earth. This major installation will entirely fill the chapel and take a week to install using bamboo scaffolding to hold the cords in place. Art in the Churches is a new initiative to re-engage with churches through the introduction of cultural events. It is supported by the Archbishop of York, John Sentamu, who is taking the position of patron. As well as offering opportunities for education and community involvement, there is also a treasure hunt to engage children at each venue. Sculpt is dramatic art, not passive, and this is the first event of its kind in the UK. It takes place at the same time as Yorkshire Sculpture International, making Yorkshire the top destination for sculpture in the UK in 2019. This art project has been made possible with the generous support of the Arts Council, the Jerusalem Trust, All Churches Trust, Skipton Hire Centres and the Himalayan Garden.